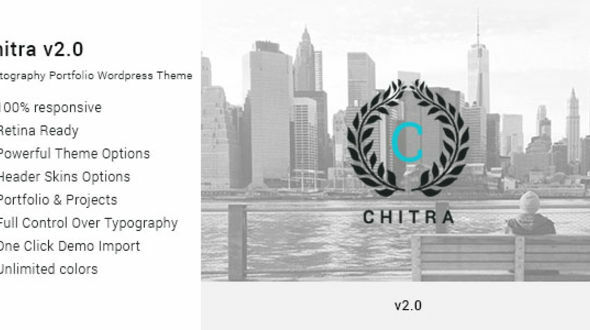 Chitra is a responsive creative/portfolio/photography WordPress theme. It’s a full-Screen responsive design perfectly suitable for all kinds of creative websites, Portfolio website, photographers. If you are a photographer or creative studio in search of a new and modern web presence, you are indeed at a right place. The package includes: Demo XML files, PSDs, Documentation. Please note that all of the images used in the Demo site are NOT included within the download package. In version 2.0 we are having following Updates.